Night shift workers share a common problem. They feel tired at work even after a full night’s sleep. 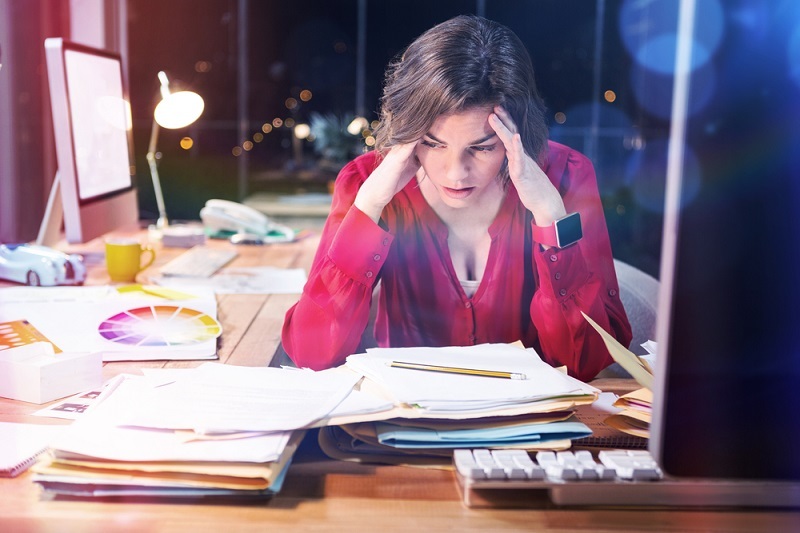 Nurses and employees of IT companies and law enforcement agencies are prone to lethargic periods within their eight or 12-hour work shifts. There are many reasons for the fatigue. Ruling out medical conditions, it could be lack of exercise or too much exercise, eating food rich in sugar or dealing with stress and anxiety. 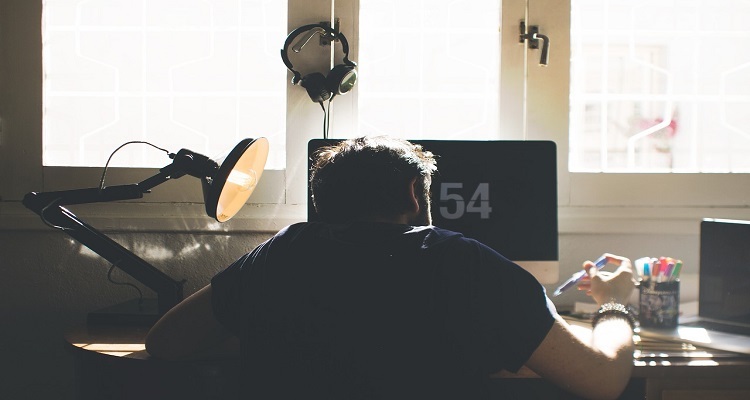 The food you eat during your working hours can affect your energy levels, so it’s good to know which ones make you doze off or keep you awake. Keep these snack items on hand for you to munch on and help stave off that sleepiness and fatigue. Besides the antioxidants, vitamins and other nutritious benefits, fruits and nuts are two classic snacks that give you a boost of energy. Nuts in general contain unsaturated fats, omega-3 fatty acids, fiber, vitamins and supplements that contribute to a healthy heart. For stamina, pecans are rich in Vitamin B3 (Niacin) which aids in converting the protein, carbohydrates and fats you eat into energy. Macadamia nuts have the same function and is rich in fiber and protein. Keep in mind that nuts are high-calorie foods and you should eat only a handful. Eat them in raw or dry-roasted form as nuts coated with chocolates, salt or sugar defeat the purpose of healthy eating. 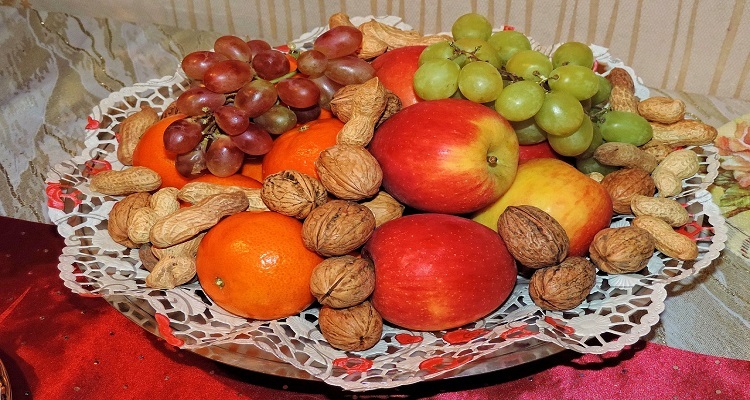 Fruits are a rich source of water, fiber, vitamins and minerals essential to energy production. All fruits are power boosters that keep you mentally sharp at work. Snack on bananas for potassium, apples for fiber, oranges for Vitamin C and folate, pineapples for Vitamin C and manganese and avocadoes for the good kind of fats. Yogurt is an energy booster because of its protein, potassium, calcium, magnesium and phosphorus. It can be eaten alone or mixed with other food. 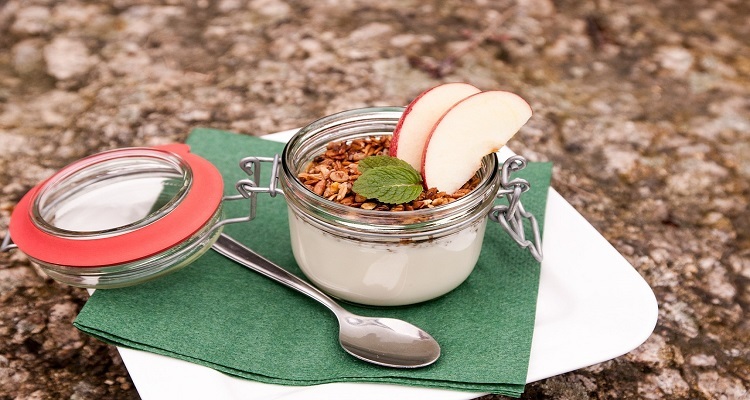 Choose the healthy option of food to eat with yogurt, like granola, fresh fruits and chia seeds. Greek yogurt has twice the protein and half the sugar content in plain yogurt. It is also widely available since it has become quite popular. Make sure to go for the low-fat or fat-free alternative as Greek yogurt has more fat content than the plain one. Cheese and eggs are protein-rich food that are not high in calories. A hard-boiled egg does away with the fats from frying oil. Pair it with unsalted crackers for a filling energy-giving snack. Another good source of protein is cheese which contains tyramine. Tyramine improves mental alertness and increases energy. 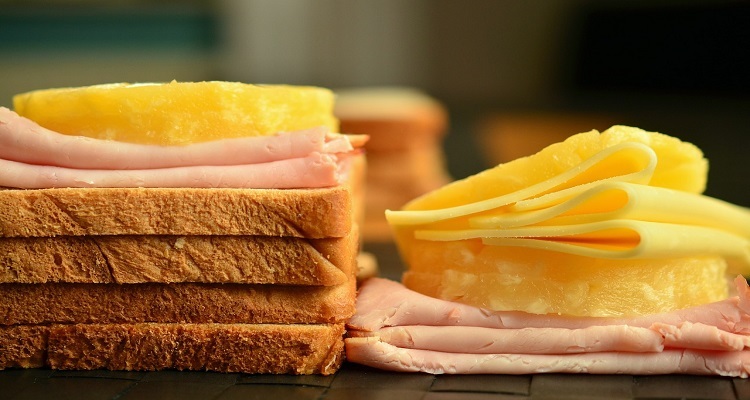 Night shift workers can bring cheese sandwiches to eat during breaks for added vigor. 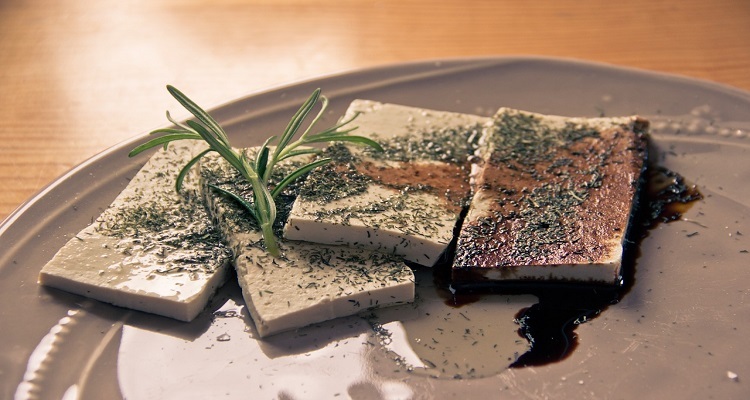 Like cheese, soy also contains energy-boosting and alertness-improving tyramine. Fortunately, there are many soy and soy-based food and snacks you can bring to work and have for break time. Soy milk, tofu with rice and cereals are just a few examples. Look for them in your grocery store. These snacks are meals on-the-go that are perfect for fixing your lethargic mood during your work hours. They are protein-rich and have carbohydrates and fats as well. They come in various flavors and their ingredients come from different sources. Protein bars with plant-based protein and low sugar content are best for a healthy snack. Night shift workers should take care of their health, especially nurses who are on their feet taking care of their patients. Taking these healthy snacks to boost energy will ensure optimum performance in the workplace.